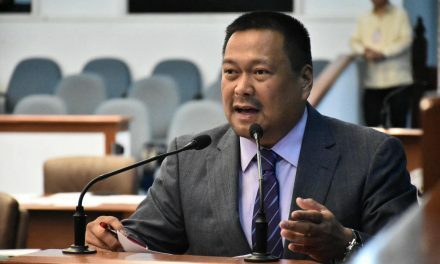 Senator JV Ejercito commended the swift approval of the Bicameral Conference Committee after the members settled the disagreeing provisions for the Sangguniang Kabataan Reform Act of 2015. “Finally, the Sangguniang Kabataan Reform Act of 2015 will be submitted to President Aquino for signature. We already had two postponements for SK elections to give way for these reforms. It’s about time to implement the reforms in the SK,” Sen. Ejercito, as one of the co-authors of the bill said. 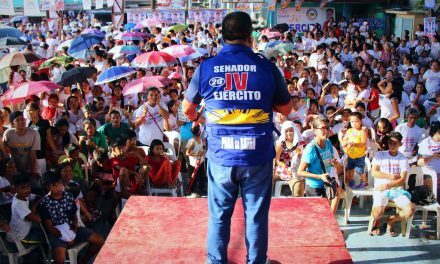 Ejercito said among the reforms that the Bicameral Committee approved are the age rebracketing for Katipunan ng Kabataan members to 15 to 30, and eligible SK candidates to 18 to 24; barring family and relatives of incumbent officials within second civil degree of affinity or consanguinity from seeking SK election; and the proposed mandatory training fund of 50-Million to strengthen the leadership skills of the SK.